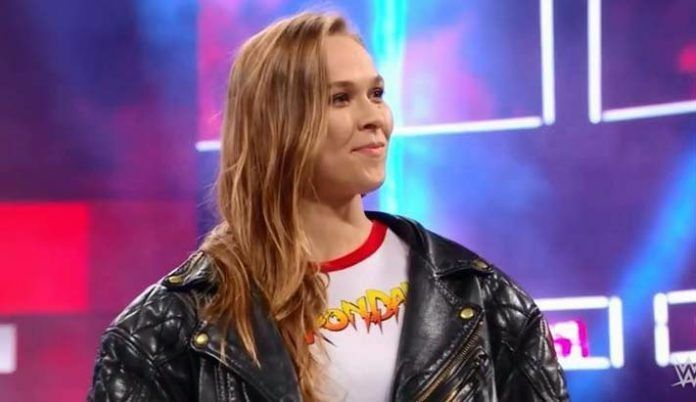 Mortal Kombat fans were surprised earlier this year when it was announced that Ronda Rousey would join Mortal Kombat 11, voicing Sonya Blade. And now, Rousey showed how seriously she’s taking her character during WWE Elimination Chamber pay-per-view match. Although she did manage to win her match against Ruby Riott, fans totally loved her Sonya Blade fears. Ronda Rousey will be voicing the character for the next version of the franchise. Ronda Rousey has been excited about the opportunity. This was Ronda Rousey’s way of showing how excited she was for voicing Sonya. Mortal Kombat 11 will arrive in April for Nintendo Switch, Xbox One, PS4 and PC. Elimination Chamber by WWE is one the WWE Network. It’s available for $9.99 a month, though you get your first month free. The WWE Network can be seen via web browser or mobile device as well as a built in app on smart TVs.